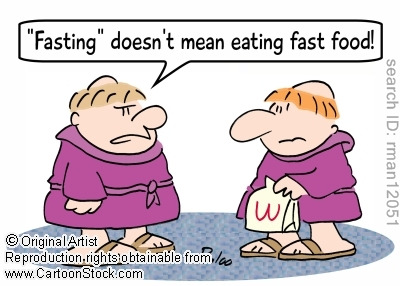 Treat your palate to something different this Lenten Season. Spice it up with a few of these flavor-packed, longevity-enhancing Powerfoods. Good for your mind, body, and soul. And they taste great to boot! For a heart-healthy appetizer, pair up this low-calorie Black Bean Dip with some homemade oven-baked tortilla chips. . .For the tortilla chips, simply brush some fresh corn tortillas with extra-virgin olive oil and sprinkle with garlic salt. Then use a pizza cutter to cut the tortillas into wedges and bake in a 400 degree F. oven for about 20 minutes until chips are crisp and golden-brown. This flavor-packed sandwich spread makes a great lunch, and also makes a great appetizer as a Pâté when served with crackers. . .A couple of my gym buddies say it's so good they eat it by the spoonful! Get the recipe here: Creamy Salmon Spread. You'll love it. Plus it's loaded with longevity-enhancing, cancer-preventive ingredients. Flavor-packed Mediterranean Stir-Fried Shrimp over Quinoa Pilaf. If you haven't yet tried Quinoa (pronounced KEEN-wah), you're missing out. It is a highly-nutritious carbohydrate that will help you stay lean and maximize your energy levels at the same time. . .Plus it's very tasty, sort of a cross between brown rice, oatmeal and nuts all rolled into one. It's a complete protein with all the essential amino acids. . .and a very friendly carbohydrate for anyone insulin-resistant. If you prefer your shrimp over pasta, try this healthy-delight. . .Light and Lively Mediterranean Seafood Pasta. This recipe is made with Dreamfield's low-carb pasta. Big on Flavor, low on calories, and easy to prepare, the whole family will love it. Fresh fish--be it lake trout, white fish, or salmon--will catch a new reputation with your guests when you prepare this recipe. Plus it's low-fat, high-protein and a powerhouse of cancer-fighting and longevity-enhancing ingredients. Try this Longevity Herb Crusted Lake Trout this Lenten season. This recipe works well with any fresh fish, such as salmon, lake trout, or white fish. Shirley's Black Bean Cardio Salad (with or without the tuna) is a great Tex-Mex favorite that is loaded with fiber and very heart-healthy. You can make this in minutes. This works great as a salsa dip as well. Or, how about a big bowl full of everything that's good for you? Marinated Mediterranean Longevity Salad is a huge crowd pleaser. A reader Viki writes: "Fantastic recipe--one of my favorites. I've made this for a variety of functions and it has been an absolute hit every time! For those of you on the Weight Watchers Point Plus program, according to my calculations using the Weight Watchers e-tools, 1/2 cup of base = 4 points." There you have it--Seven Lent-friendly ideas to wake up your taste buds and help you reshape your physique at the same time! 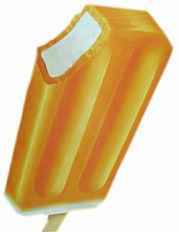 Remember those creamsicles (ice cream filled popsicles) we used to buy as kids? Here is an extremely convenient way to get a lot of protein in one half-cup serving. Plus, the taste is remarkably like an old-fashioned creamsicle. To make this protein-rich treat easy to grab and go, I purchased an 8-pack of reusable 1/2 cup plastic containers with lids. You can throw one of these in your lunch bag or gym bag along with a plastic spoon and get that protein on the run, without having to worry about a shake breaking down on you if you don't consume it immediately. In a 2-cup or larger glass measuring cup, dissolve the gelatin in 7/8 cup of boiling water. Stir until the gelatin is completely dissolved. Add three scoops of Vanilla Whey Protein and stir until all lumps disappear. A small whisk will make the protein powder dissolve much quicker. I don't use a blender for this job because the mixture expands and gets too foamy. Once the protein powder is dissolved, add enough fat free half and half to measure exactly two cups (about 1/2 cup). Pour the mixture into 4 1/2-cup containers, cover and chill until set. Beef Stroganoff is ordinarily one of those high-fat, high-caloric meals over which your doctor will cringe. This recipe however, reduces the fat substantially by replacing sour cream and/or heavy cream with nonfat Greek yogurt and lowfat cottage cheese. Compared to "Tyler's Ultimate Beef Stroganoff" (Foodnetwork.com), this recipe has half the calories, and less than 1/3 of the fat. Moreover, the addition of Rosemary and Thyme, garlic, and horseradish kicks up the cancer-preventive substances in this dish. The nutrition information listed above is based on the use of Body Builders' High Protein Noodles (see below for the recipe). If you use store-bought egg noodles, it will likely reduce the protein and increase the carbohydrates, and may reduce the fat and calories. Consult the package label for details. This recipe contains Rosemary which (either fresh, dried, or in extract form) when added to meats prior to cooking, significantly reduces the amount of heterocyclic amines (HCAs)--the cancer-causing chemicals that form when meats are heated to high temperatures. Rosemary is a source of two powerful antioxidants called rosmarinic acid and carnosic acid which are the components responsible for reducing HCAs from forming when meat is heated. The horseradish in this dish is a rich source of Glucosinolates. A study from the University of Illinois shows that horseradish has substantial quantities of glucosinolates, compounds that have been shown to increase human resistance to cancer. "Glucosinolates increase the liver's ability to detoxify carcinogens and they may actually suppress the growth of existing cancerous tumors," said Mosbah Kushad, U of I associate professor of foodcrop systems. "And our analysis of various horseradish varieties shows they are a rich source of these compounds." Horseradish has approximately 10 times more glucosinolates than Broccoli, the next richest source. Prepare Sauce: Into a small food processor or blender, combine all sauce ingredients and process until completely smooth. Set aside. Slice the beef tenderloin into 3-4 ounce medallions, season with salt and pepper and cut into 2" long strips. Dredge in flour. I use a ziploc bag for this--place the flour in the bag, add the beef, zip and shake. Into a dutch oven set over medium high heat, heat 2 tablespoons of EVOO and add the garlic, rosemary and thyme and heat 30 seconds until fragrant. Add the beef and saute 4-5 minutes or so, just until the meat juices appear. DO NOT OVERCOOK. Remove the beef strips and set aside. Add the 3rd tablespoon of EVOO to the dutch oven, followed by the onions and mushrooms. Lighly season with salt and pepper. Saute for 30-60 seconds, and add the cognac or brandy, plus half of the beef stock. Deglaze the pan, scraping up any browned bits. Add the remaining beef stock and reduce liquid by half (about 10 minutes) until sauce is slightly thickened. While the mushroom mixture is reducing, drop your pasta into the water and cook until al dente. When the mushroom sauce is reduced, return the beef strips to the sauce and stir until heated through. Add the cream sauce from step one, taste and add more salt and pepper if needed. Serve atop a bed of noodles and garnish with minced flat leaf parsley. Easy to make and huge on flavor, this nutrition powerhouse is loaded with "good for you" ingredients. Quinoa (pronounced KEEN-wah) is the most nutritious of all grains--it's high in fiber, a good source of iron and has all 8 essential amino acids. Moreover, it has a very LOW glycemic index so it's a great rice substitute for folks with blood sugar issues. Basil is a rich source of antioxidants--gram per gram it has more antioxidant content than dark chocolate, blackberries, strawberries or blueberries. Basil has also been shown to have several compounds which work together to prevent cancer. In several laboratory studies, GARLIC has also been shown to block the growth of cancer cells. A study of nearly 42,000 women conducted at University of Minnesota School of Public Health, found those who ate more than one serving of garlic (1 fresh clove or 1 shake of powder) per week were 35% less likely to get colon cancer than those who ate none. You can make this one-dish meal in less than 30 minutes, and the whole family will love it. 1 Cup Fresh Button Mushrooms (diced)--remainder of 8-oz. package used in stir fry. Into a medium sauce pan, saute the onion, garlic, mushrooms, salt and pepper in the EVOO until softened (about 5 mins). Add the stock and quinoa. Cover and simmer over medium-low heat for 15-20 minutes. Into a large deep saute pan or dutch oven set over medium-high heat, quickly seer the shrimp in 2 Tablespoons EVOO until they just turn pink, turning once. Season lightly with salt and pepper while cooking. Remove shrimp from the pan, leaving olive oil behind. Add the garlic, red pepper flakes, minced thyme, and mushrooms to the remaining EVOO, stir until fragrant (about 30 seconds). . .Add the white wine and boil until reduced by half--about 7 minutes. Add the drained tomatoes and reduce another 3 minutes. Add minced basil, black olives, and reserved shrimp. Heat for 30-60 seconds until shrimp are heated through. Fold in the bag of baby spinach until wilted (another 30-60 seconds). Serve over a bed of quinoa pilaf with plenty of the flavorful juice. Garnish with a small handful of shredded Parmesan cheese. Fat: Saturated 5g, Polyunsaturated 1.2g, Monosaturated 5g. This is an EASY EASY high protein meal. Yesterday when I went to Peterson's Fish Market, I questioned the Peterson boy who waited on me as to the freshness of the fish. He assured me that the fish I was buying today, slept in Lake Superior last night! Always buy the freshest fish possible. This recipe has no fishy taste, and the seasonings are loaded with lots of life-extending nutrients. Horseradish, for example, is a rich source of Glucosinolates. these compounds have been shown to increase human resistance to cancer. "Glucosinolates increase the liver's ability to detoxify carcinogens and they may actually suppress the growth of existing cancerous tumors," said Mosbah Kushad, University of Illinois associate professor of foodcrop systems. "And our analysis of various horseradish varieties shows they are a rich source of these compounds." Horseradish has approximately 10 times more glucosinolates than Broccoli, the next richest source. Dill is high in monoterpenes, also shown to have anti-cancer activity. Monoterpenes activate an enzyme called gluthathione-S-tranferase. When these components come in contact with oxidized molecules which would harm our body they become attached to them and neutralize the damages, working particularly hard against certain carcinogens such as benzopyrenes found in cigarette, incinerator and grill smoke. Preheat oven to 400 degrees Fahrenheit, and line a baking sheet with aluminum foil. In a small mixing bowl combine almonds, Parmesan cheese, horseradish, dijon mustard, bread crumbs, dill, scallions, and lemon juice. Mix thoroughly until all ingredients are thoroughly blended, and a coarse meal is formed. Arrange fish fillets skin side down on the foil-lined baking sheet and liberally brush the fillets with olive oil and season with salt and freshly ground pepper. Sprinkle fish fillets with all of the crust mixture and press gently to adhere. Bake about 18-20 minutes or just until the fish flakes when tested with a fork. Do not over bake. In a small coffee grinder or blender, pulverize the erythritol crystals until it resembles cocaine. Combine 12 ounces coconut, the coconut oil, the powdered erythritol, and 2 egg whites in a bowl. Mix until all ingredients are thoroughly combined. Thoroughly spray a deep 9-inch glass or ceramic pie plate with cooking spray and press coconut mixture into the pie plate. Bake at 325 degrees F for 30-35 minutes. Check crust halfway through baking time. If the edges are getting too brown, shield the edge with a small strip of aluminum foil. Measure 1-1/2 Cups of Unsweetened Coconut onto a baking sheet and toast in the oven until golden brown (about 15 minutes). Cool to room temperature. Into a small bowl, whisk the egg yolks slightly and set aside. Into a heavy medium saucepan, combine 2/3 cup erythritol, cornstarch, salt, protein powder, skim milk, and stevia extract. Whisk constantly over medium heat (NO HIGHER) until mixture thickens and just begins to boil. Mixture will scorch easily, so stirring constantly is a must. Gradually whisk half of the hot milk mixutre into the egg yolks to temper. This will prevent the eggs from cooking too quickly and curdling your filling. Gradually whisk the egg mixture back into the saucepan of milk mixture still over medium heat. Return to the boiling point whisking constantly. Remove from heat, stir in vanilla and 1-1/4 cups toasted coconut. Press a piece of plastic wrap onto the top of the custard to prevent skin from forming, and cool to room temperature. Into the baked pie shell, slice 1 banana to cover the bottom. Layer half the custard mixture over the bananas. Repeat with one more layer of bananas and all the remaining custard. Chill pie for at least 4 hours. At serving time, garnish the top with light whipped cream and sprinkle with remaining 1/4 Cup Toasted Coconut.